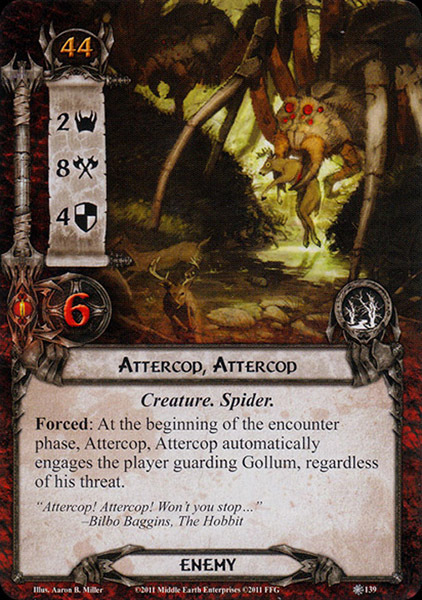 Forced: At the beginning of the encounter phase, Attercop, Attercop automatically engages the player guarding Gollum, regardless of his threat. "Attercop! Attercop! Won't you stop..."